David Miller is an instructor of entrepreneurship and the director of the Center for Innnovation and Entrepreneurship. 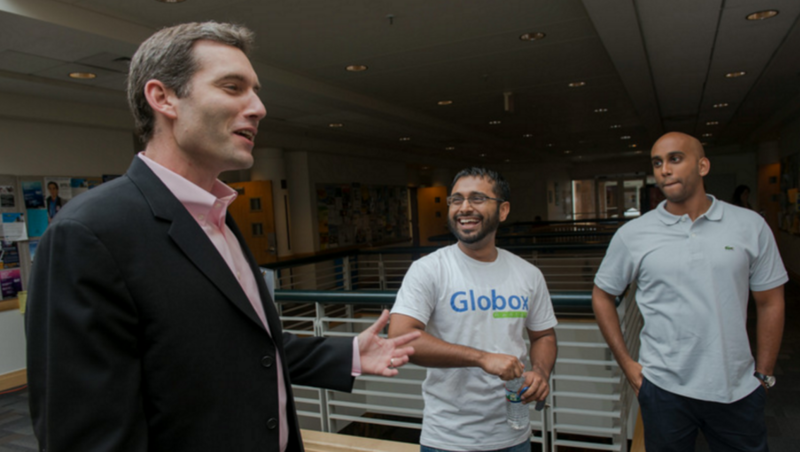 He also serves as the director for entrepreneurship within George Mason’s Center for Social Entrepreneurship. He has worked on numerous entrepreneurship education programs including Startup Mason—a peer-to-peer founders group for Mason community members—and Mason’s Social Innovation Program (SIP). Miller teaches courses in entrepreneurship and new venture creation. His fields of research include entrepreneurship, higher education, and economic history. He is currently creating a directory, taxonomy, and database of high growth student entrepreneurs, their ventures, their universities, and writing case studies on these universities as the entrepreneurial frontier. Was nominated for the Career Connection Faculty Award from George Mason University Career Services for faculty who have made a positive impact on students’ career goals, employment plans or graduate school preparation in 2015. David Miller, director of the Center for Innovation and Entrepreneurship at George Mason University, discusses entrepreneurship, innovation and the role of higher education in the entrepreneurial economy. Miller also describes how Mason’s center provides a central hub for entrepreneurship education and innovation activity for the university community. Is the University the New Final Frontier? Microsoft and Google, FedEx, Facebook, Dell Computer, and Under Armour are but some of the highly successful, innovative firms created and founded by students on the campuses of U.S. universities. It’s not a surprise, considering that American campuses offer the attributes reminiscent of the American frontier—an environment that fostered countless pioneers and innovators as the U.S. expansion grew west. This article is a part of a series on David Miller’s research focused on the campus as the frontier for entrepreneurship in America. David Miller is the Director of Entrepreneurship at George Mason University. David Miller’s name is synonymous with university entrepreneurship here in the D.C. area, a well-known thought leader on startups, education, and their undeniable value to the nation and world as a whole. Currently in the midst of finishing off a research project focused on the campus as the frontier for entrepreneurship in the U.S., Miller has garnered the respect of numerous school officials and tech titans throughout his quest to analyze how colleges foster the entrepreneurial spirit, noting their successes and failures. He hasn’t always been such an authority on university entrepreneurship though. Miller kicked off his career when he left business school to join new startup Rollingstone.com during the Internet boom. Though a creative challenge for him – digital music was something no one had tried delving into before – it was during his time on the Rollingstone.com project that he got his first taste of entrepreneurship and boy did it taste good. That’s why Miller left Rollingstone.com and made his way back to business school at University of Chicago.